In a lively night of rock and roll fun, Dean Torrence and the Surf City All Stars bring back Jan & Dean�s greatest hits including Barbara Ann, Little Old Lady from Pasadena and Dead Man�s Curve. In 1963, their iconic single Surf City became the first surf music record to hit #1 on the American charts and turned listeners across the country into lifelong fans. All the surfing favorites. plus a dose of hot rod music from the same era, take everyone in the theater riding straight to the coast for a classic California beach party. Celebrate the joy of the Easter Holiday season with this new production saluting one of Irving Berlins most memorable film scores. Presented Cabaret style, this fresh and fun revue revisits favorite songs which have endured through generations including Steppin' Out With My Baby, Shakin' The Blues Away, A Couple of Swells, It Only Happens When I Dance With You and, of course, the classic Easter Parade. This delightful show, like the film itself, is a treat for audiences of all ages...and a perfect way to celebrate the Holiday with the whole family. There is only one place you should be on April 4th, 2015 at 7:15pm If you are not registered for the time of your life, you will definitely be missing out. This event will be filled with epic lighting, neon, costumes and music that will Simply Blow Your Mind! Run it solo or as a group, it's completely up to you! Make sure to get on the email list and Facebook page for all Neon Run updates! * A Neon experience of a lifetime with family and friends! See 200 cats and kittens of 42 breeds on display and competing for Best in Show, including the hairless Sphynx, folded-ear Scottish Fold and American Curl, tailless Manx, fluffy Persian and slinky Siamese. Watch the antics of the Feline Agility Competition, proving that if dogs can do it, so can cats! Meet 'Danny', CFA's Ambassador Cat, a stunning Oriental Shorthair, who will be giving out purrs and kisses to all. Find the 'purrfect' companion in your favorite breed or from rescue groups at the event. Shop for cat-oriented arts and crafts, toys, gifts and gadgets. Doorprizes. Proceeds benefit feline health research and local rescue groups. Fans all over the world love Craicmore! Rough translation from the Irish: 'big fun', and that's exactly how they make music! With a deep respect for Celtic music and traditions combined with a willingness to explore other musical influences, Craicmore brings Gaelic joy to concert halls around the world as well as on television and in movies Nancy Johnston, John MacAdams, Sean Faye-Cullen, Dave Champagne, a stage full of instruments a spot-on vocals are sure to please! The LAA annual Spring Art Show will be held at The Barn at 3131 Pacific Avenue, Livermore on April 11th & 12th. This is the largest annual art exhibit in the valley, drawing artists from all over the Bay Area. It is open to the public and admission is free. Hours are 10:00 am to 5:00 pm each day. Most artwork is for sale, and there will be an additional sales room with original art, crafts, cards and prints. The Livermore Commission for the Arts will be selecting several pieces, one from each category, for a City of Livermore Special Award. After the show, these works will be displayed in City Hall for one month. The public is invited to a festive reception on Saturday, April 11th from 7:00pm - 9:00 pm with appetizers, local wines and live music. The awards ceremony will be held at 7:30 pm. More info: Livermore Art Association - 925-449-9927 Hours Wed-Sun 11:30 a.m. - 4:00 p.m.
Livermore-Amador Symphony Concert - Fantastic Flute! Pleasanton native Annie Wu returns home to perform Francois Devienne's elegant Flute Concerto No. 7. At the age of eighteen, Annie is already an accomplished musical artist. Among her many accomplishments, she has appeared as soloist with the San Francisco Symphony and performed under the direction of Velery Gergiev at Carnegie Hall as a member of the National Youth Orchestra of the USA. We open the evening with Aaron Copland's "Our Town," music that captures the serenity and simplicity of Thornton Wilder's play. Finally Brahms' jovial Serenade No. 1 combines pastoral elements of chamber music and full exuberant symphonic glory. It�s time to run, walk or push your stroller to www.ppierun.com to sign up for Pleasanton�s premier family-focused fitness fundraiser! The 3rd Annual Pleasanton Run for Education, benefitting the Pleasanton Partnerships in Education Foundation (PPIE), takes place Sunday April 12, 2015. ClubSport Pleasanton returns as Title Sponsor, and all races begin and end at the Alameda County Fairgrounds in Pleasanton. This year�s race offers two new distances to challenge everyone- from the casual walker, to the novice runner, to those training for their first marathon. In lieu of a half marathon option, the 3rd Annual Run for Education offers three race distances: 5K, 10K and 15K. The popular Kids� Challenge for ages 12 & under has also expanded and will offer two distances: 1/2K and 1K. French said the new distances align with their goal of hosting a family-focused, inclusive event. Participants can walk or run the 5K or the 10K � or better yet, add them together for the 15K = three opportunities to run farther and faster! PPIE welcomes back A Change of Pace Foundation to handle registration and timing, and Ready Go! Events joins the effort this year as the official race management company. Last year, the event raised over $80,000 in net proceeds, all of which benefitted the Pleasanton schools. This year, the committee�s goal is to raise $100,000. As Pleasanton's premier family-focused fitness fundraiser, the Pleasanton Run for Education relies on generous sponsors, volunteers and participants! To register to run, volunteer or sponsor the event, please visit www.ppierun.com . To learn more about PPIE, please visit www.ppie.org . Free Activities for kids of all ages. Live music concert. Mind teasing stage pyro shows. Amazing 30 minute Firework show that lights up the sky. Wonderful food from around the globe. Unique bazaar with the coolest products. The best people that you have ever had the opportunity to celebrate with. The outrageous antics and expert juggling of Mark Nizer have been described as �nothing less than brilliant,� his unique approach is delivered with an unprecedented live 3D twist. Since winning the International Juggling Championships, his amazing feats, whether with laser beams, bowling balls, or a burning propane tank, have put him in venues from comedy clubs to Lincoln Center, as well as on television and major cruise lines. With 3D glasses in place, it is easy to see how what should be impossible becomes, in Nizer�s hands, a spellbinding reality. Born with a guitar in one hand and a harmonica in the other, Arlo Guthrie�s timeless stories and songs carry on the legacy of his father, songwriter Woody Guthrie. Arlo was performing in public by age 13 and was soon involved in the music that shaped the 1960s. His ground breaking hit Alice�s Restaurant helped foster the social consciousness and activism of that era and remains relevant today. With his natural gifts as a storyteller, Guthrie connects anecdotes and music with an engaging and heartfelt humor that has enticed fans for generations. Nobel Laureate and Astrophysicist, Dr. John Mather will explore the whole history of our universe, beginning with cosmic inflation and a series of cosmic instabilities, leading to the formation of stars, galaxies and planets. He will discuss how the solar system made it possible for life to exist on Earth and show how the James Webb Space Telescope, being built for launch in 2018, will tell us more about our history. An even bigger telescope may show us signs of life on planets of other stars�Mather will speculate on how we, or our robotic progeny, could reach those planets. Winner of 10 Tony Awards in 1965 and still touching audiences worldwide today with its humor, warmth and honesty, 'Fiddler on the Roof' is a musical theatre tradition! Set in the little village of Anatevka, the story centers on Tevye, a poor dairyman, and his five daughters. With the help of a colorful and tight-knit Jewish community, Tevye tries to protect his daughters and instill them with tradition in the face of changing social mores and growing anti-Semitism of Czarist Russia. Rich in historical and ethnic detail, this universal theme cuts across barriers of race, class, nationality and religion, leaving audiences crying tears of laughter, joy and sadness. Cinderella Classic and Challenge Bike ride. This unique bicycle tour for women of all ages and abilities winds through Amador, Livermore, Diablo, and San Ramon Valleys. This metric century (100k/65 miles) is mostly flat with a few moderate hills. From the start at the Alameda County Fairgrounds in Pleasanton, the ride circles south through Pleasanton, out through the vineyards of Livermore, then north and along the base of beautiful Mt. Diablo to Danville, where it turns south and winds back to the Fairgrounds in Pleasanton. Charming Princes will be at three rest/food stops along the way, with a cold lunch at the second. Our SAG service patrols the entire route to provide rider assistance if required. 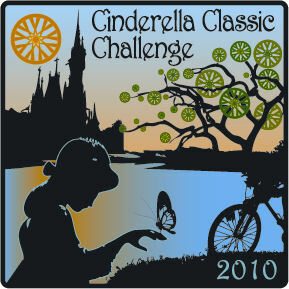 A Cinderella Classic ride patch is awarded to every rider. Leave your Prince Charming at home and enjoy a special day! 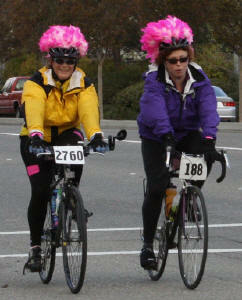 The Cinderella Classic & Challenge is a 65/95-mile recreational bicycle ride (not a race) for women & girls only. Males do not ride Cinderella they do the organization, support, rest stops and SAGs for the Cinderellas. The Challenge route is for experienced and extra-conditioned riders only. It includes an additional 23 miles and almost 2,000 feet of climbing. At mile 25 you turn east and climb Patterson Pass, then enjoy a six-mile steep rapid descent into the valley. Making a loop, you return via Midway, Altamont Pass, Carroll, North Flynn and the great descent of South Flynn, after which you rejoin the Classic route ten miles before the lunch stop. Riders will be monitored onto the route and given a Challenge route sheet. There will be a water/refreshment/Challenge award stop at Midway and Grant Line. For more than two decades, Hotel California: A Salute to the Eagles has kept alive the chart-topping songs of the Grammy Award-winning band for fans around the world. In a contemporary, action-packed show, they faithfully reproduce the vocal harmonies and classic rock sound that put The Eagles in the Rock and Roll Hall of Fame. This salute, featuring such megahits as Take it Easy, Lyin� Eyes, Heartache Tonight, and Best of My Love, not only rekindles treasured memories of past decades, but ensures the magic remains for years to come. Pacific Chamber Symphony, now beginning its 26th year, is a professional resident company at the Bankhead Theater in Livermore. Under the guidance of its dynamic maestro, Lawrence Kohl, this group of brilliant musicians blends chamber music�s intimate clarity with the power and tonal richness of a much larger symphony orchestra. PCS provides a warm and inspiring experience to its audience. Come and share the thrill of new musical discoveries in some of the most beautiful music ever written: music from Bach to Mozart to Beethoven, romantic through modern, and commissioned new works from Bay Area composers. PCS has been recognized for combining insightful interpretations and exquisite execution. They were honored to perform at the United Nations 60th Anniversary World Concert Celebration held at San Francisco�s Grace Cathedral. AKQA�s collaboration and video of PCS�s �Mobile Orchestra� received the Silver Lion at the 2013 Cannes International Advertising Festival. Named 'Best Flea Market in America' by Romantic Homes, Flea Market Decor, and Romantic Country magazines, the bi-annual Remnants of the Past Antique & Vintage Show attracts over 65 of the country's finest purveyors of vintage, handmade and antique items. Remnants of the past features an eclectic collection of one-of-a-kind finds including French farmhouse design, country chic, European antiques, and creatively repurposed goods. Originally held in San Luis Obispo, California, where the internationally renowned 'shabby chic' designer Ashwell discovered Remnants of the Past, the show has continuously attracted exponentially greater number of visitors. Last year, the two shows attracted more than 7,000 attendees. For 2015, the Spring show will be Friday, April 24th 3pm - 8pm and on Saturday, April 25th, 9am - 5pm. Remnants of the Past is excited to announce that we will have Rachel Ashwell of Shabby Chic as our special guest. Rachel will be signing her NEW book, The World of Shabby Chic, on Saturday, April 25th from 10AM to 2PM. 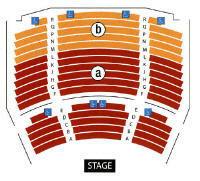 Friday's show, April 24th, is from 3pm - 8pm and has two ticket options. You can purchase the general admission for $15 (available on-line* or at the gate), or you can choose the $40** Friday admission that will include Rachel Ashwell's new book 'Rachel Ashwell: The World of Shabby Chic ~ Beautiful Homes, My Story & Vision' (a $45 value). Pick up book at show on Friday, April 24th, 2015. Saturday's show, April 25th, is from 9am to 5pm. Rachel will be at the show on Saturday only, and will be signing books between 10am and 2pm. Friday admission is either $15* or $40** per guest and includes admission for Saturday. Saturday admission is $15* per guest. There will be plenty of parking ($8 fee) right next to the Expo. Returning shoppers on Saturday, get into show for free with their Friday wristband, and pay only $4 for parking. The show is rain or shine. The Alameda County Fairgrounds is located off Valley Road, Gate 8, Building A. *On-line tickets will be charged an additional $2 shipping and handling fee. **$40 tickets are available on-line only through March 20, 2015 and will be charged an additional $2 shipping and handling fee. Tickets can be purchased at www.remnantsofthepast.com. For more information on vendors, Judy Watkins' blog, a newsletter sign-up, or to join Remnants on Facebook, please visit www.remnantsofthepast.com. Fans have obsessed for years over Pink Floyd�s groundbreaking album with its radical integration of music and sounds, so it is no surprise Classic Albums Live chose it as their first rock masterpiece to recreate�note-for-note, cut-for-cut. With faithful attention to detail, from the clock intro that opens Time, to the haunting vocals of Great Gig in the Sky and the unmistakable drumbeat of Money, every element, no matter how small, is replicated live on stage. A true rock immersion experience, this show must be seen and heard to be believed. Main Library Livermore Public Library is offering a unique opportunity for teens to share their artistic talent with local artists and the Livermore community by sponsoring the 2015 Teen Art Exposition and Competition. The library invites Livermore middle school and high school students to submit artwork on this year�s theme Impact! Make Your Mark with Art! Livermore residents in sixth through twelfth grades are encouraged to submit an original piece of art. Works eligible for the exhibit are limited to 2D visual media in the following categories: (1) painting: watercolor or acrylics; (2) drawing: pencil, pen, ink, or pastels; and (3) photography: digital or traditional film. Entries will be accepted from 10:00 a.m., Monday, March 2, 2015 through 5:00 p.m., Friday, March 27, 2015 at the Civic Center Library. Art work will be judged in each category at two levels, Level 1: 6th-8th grade, and Level 2: 9th -12th grade. Ribbons will be awarded for Best of Show, Best in Class, and Honorable Mention. Students may enter one art piece either as an individual or as part of a team. All artists are limited to one submittal only; participants may not enter as part of a team and as an individual. All artwork must be framed and/or matted with a hanging system. Teen artwork will be on display during the library�s regular hours from 10:00 a.m., Wednesday, April 1 through 5:00 p.m., Thursday, April 30, 2015 in the Civic Center Library Art Gallery. Artwork will be shown as space allows. The community is invited to attend the Artist�s Reception that will take place Wednesday evening on April 15, 2015 from 7:00pm to 8:00pm in Community Rooms of the Civic Center Library. For more information and to access entry forms, please visit TEEN SPACE on the Livermore Public Library�s website at www.livermorelibrary.net or contact Jennifer Mosel at 373-5576. 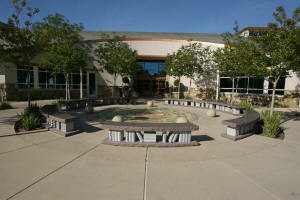 The Civic Center Library is located at 1188 South Livermore Avenue, Livermore CA, 94550. Main Library Bring your broken, non-functioning items (electronics, appliances, computers, toys, clothing/textiles) for assessment, disassembly, and possible repair at the Livermore Public Library�s Fixit Clinic. This FREE event will be held on Saturday, April 18, 2015 from 12:00 to 3:00 p.m. in the Civic Center Library Storytime Room. Walk-ins are always welcome, however please register in advance at http://goo.gl/qTzh9J. The library will provide workspace, specialty tools, and guidance from volunteer Fixit Coaches to help you disassemble and troubleshoot your item. Whether we fix it or not, you will learn more about how it was manufactured and how it worked. This is a family-friendly event. Children are heartily invited! Please bring carry-in items only. No oversized items will be accepted. Please also bring the following: 1) any tools or accessories you have that may be useful in repairing the item, 2) any research you have conducted on the issue, and 3) boxes, bags, and/or small containers to organize (and carry away) parts. For additional information please call 925 373-5500 or visit www.livermorelibrary.net.. For more information on the growing Fixit Clinic community, visit www.fixitclinic.org.